If everyone in your neighborhood has new roofs, don't you think it might be time for you to replace yours, too? Here are some warning signs that it's time. Is your roof in need of replacing? Depending on where you live and the type of roof, you could be overdue for a replacement. New roofs aren't cheap investments, so you want to make sure you really need one. It can be hard to tell the state of your roof if you don't know the signs to look for. If you don't replace it in time, you could face a lot more damage to your house. The property value will start to decline as will the curb appeal. So, how can you tell you need a new roof? Keep reading for six clear signs that it's time to get rid of the old, and in with the new. A healthy roof has flat-laying shingles in cohesive coloring. Go outside and take a look at the shingles on your roof. Are all the pieces laying flat? Some of the most common signs you need a roof replacement are in the state of the shingles. Over time, the edges of the shingles will begin to curl up and back. Some may fall off or disconnect. When old shingles are damp, pieces called granules tend to break off. These granules look like dark sand and land in your gutters. You may notice them in your yard and around the house as well. If you have a ladder, inspect the shingles up close. Notice if they're stained or show signs water damage. Shingles are your first line of defense against the elements; making sure they're in good shape is key. Every house will need a roof replacement at some point. Shingles are the first way of knowing your time has come. Your roof's job is to protect your house from rain, snow, and all types of weather. If it's not doing its job, it needs replacing. Check your attic for signs of leaking. This is common for roofs that are missing shingles or have loose shingles. The precipitation slides under the loose pieces and infiltrates your home. You may notice water damage in the beams or walls of your attic. Left unresolved, water damage can cause serious issues in your house's structure. Water damage in the attic can travel to lower levels of the home. Have you noticed your energy bills increasing each month? That can be normal in some locations when it gets colder or warmer. But, an abnormal increase could be a sign of roofing problems. Another responsibility of your roof is to insulate the house. Heat rises, but if your roof is well insulated, it doesn't let the heat escape. If you have an older roof in need of replacement, it could be leaking out warm air. This means you're using more energy to heat your home because some of the heat is getting lost. Assess your current and previous energy bills. If you notice an abnormal increase, it could be time to check out your roof's quality. It's only a matter of time before every roof needs replacing. Even if you don't notice physical signs, you can assume roofing issues will come up after a certain number of years. It depends on the type of roof you have and the type of build. For example, houses built in a brand-new subdivision had a speedy construction. It's not uncommon for these houses to have roof issues because the developers were working too fast. If you live in a new build, it's smart to check your roof's quality often. The materials used in your roof have different lifespans. Asphalt shingles last around 15-30 years. Rubber roofs can last 30-50 years. Metal roofs can last 30-50 years. Composition shingles are a common roofing material. They only last 12-20 years. It's important you know when the roof was last replaced so you can estimate when it needs to get done again. 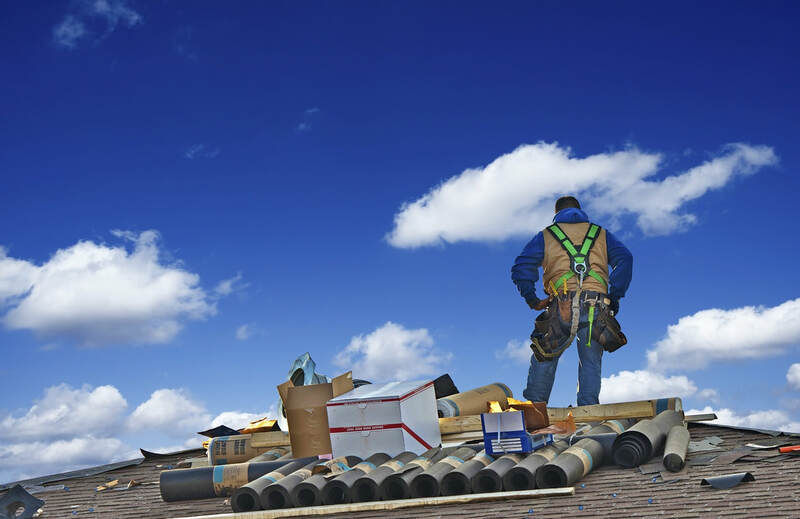 The roof deck is the foundation of the entire roofing structure. If it's not built correctly, the shingles won't lay flat on top of it. A huge sign you need a new roof is if there's sagging in the roof deck. Sagging can occur when water leaks through the shingles and damages the beams. You'll notice a slight crater in your roof from the outside. Inside your attic, you may also notice what looks like the roof caving in. If you go up onto your roof, you may notice it feels spongy to walk on. This is due to moisture softening the deck. It's a major sign that your roof needs replacing. Mold and rot are serious health concerns for your family. If they grow on or in your roof, they can spread into your home. Inhaling the air spores from the mold can make you ill.
You can tell that mold is growing on your roof by inspecting closely. The shingles may be rotting or deteriorating. The algae-like mold can grow under, in, and on top of the shingles. It's also important to inspect your attic. If you find mold inside the attic, it means it's already starting to spread. You may also smell the mold before you see it. When the mold isn't removed, the rotting process starts. Once rotting starts to happen, it's too late to remove the mold. You need an entire replacement of the roof and rotting structures. Interested in Learning More About New Roofs?Part of being a homeowner is maintaining the structure of your house, including the roof. If the roof gets damaged, you're in for a whole slew of other problems. Plus, replacing the roof increases your property value and curb appeal. Read the eight tips above to know if your roof is ready for replacing. If you're ready to learn more about new roofs and find out if you need one, check out our Residential Roof Replacement Page.